WEDNESDAY, June 6, 2018 (HealthDay News) -- Treating stroke survivors' blood pressure more aggressively might prevent a substantial number of deaths, a new study estimates. 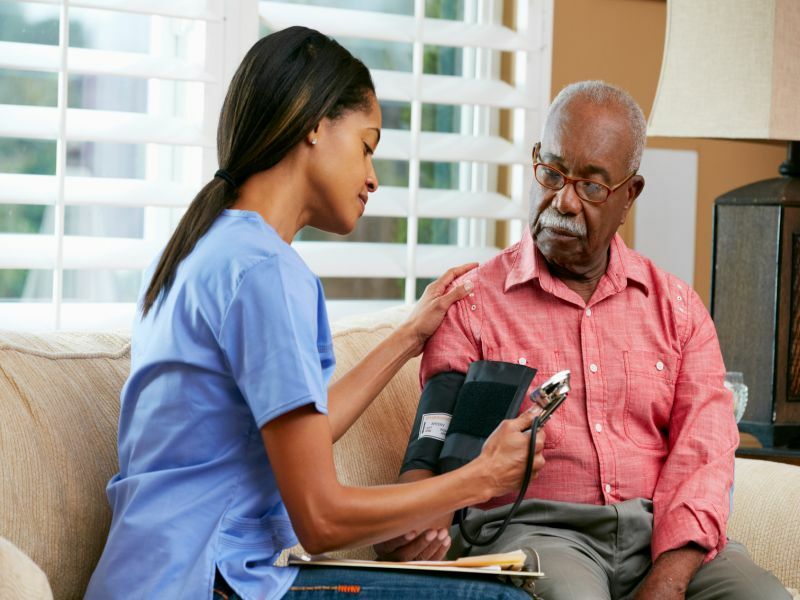 Last year, new guidelines from the American College of Cardiology and American Heart Association lowered the threshold for diagnosing high blood pressure. They said people should consider treatment when their numbers reach 130/80 mm Hg or higher -- rather than the long-used threshold of 140/90 mm Hg. The new study tried to estimate what would happen if U.S. stroke survivors aimed for those lower numbers. The conclusion: It might prevent one-third more deaths. But experts stressed that the findings are not definitive. They are an estimate based on an ongoing government study tracking Americans' health. "This is a simulation analysis," said lead researcher Dr. Alain Lekoubou, of the Medical University of South Carolina. "The best data will come from clinical trials and prospective studies." Prospective studies are those that follow a group of patients over time, to see how they fare on a given treatment, for example. Dr. Steven Nissen, chairman of cardiovascular medicine at the Cleveland Clinic, made the same point. "We simply don't know whether these gains will actually be achieved," said Nissen, who was not involved in the study. The goal of the research, Lekoubou said, was to predict how the ACC/AHA guidelines might affect the care of stroke survivors -- a group at high risk of suffering another stroke. The researchers turned to data from a large federal study that collected health information, including blood pressure readings, from U.S. adults between 2003 and 2014. Under the old blood pressure target of 140/90, the researchers estimated, treatment would be recommended for about 30 percent of U.S. stroke survivors. That translates to a little more than 1.4 million Americans. But that figure would jump to 50 percent, if all stroke survivors were treated according to the new ACC/AHA guidelines, Lekoubou said. The researchers then looked at death rates among U.S. stroke survivors with different levels of blood pressure control. They found that among survivors who kept their numbers below 130/80, 5.5 percent died during the study period. That compared with just over 8 percent of stroke survivors who kept their blood pressure below 140/90. Those figures do not, however, prove that switching all stroke patients to the ACC/AHA guidelines will prevent that number of deaths, Nissen stressed. The guideline change was largely driven by a clinical trial called SPRINT. That trial showed that tighter blood pressure control was better for people with additional risk factors for heart disease and stroke -- such as clogged heart arteries or kidney disease. Those who aimed for more aggressive control of their systolic blood pressure -- instead of the standard 140 or lower -- were less likely to die over the next few years. The trial did not show a reduction in strokes, specifically, Lekoubou said. But, he added, the study did not involve stroke survivors. Other trials, Lekoubou said, have shown that tighter blood pressure control can reduce the risk of recurrent stroke. Overall, he noted, the evidence suggests that for every point patients shave from their blood pressure numbers, the risk of repeat stroke dips by 4 percent. Still, lowering blood pressure with medication can come with pitfalls -- particularly for elderly, frailer patients, Nissen pointed out. "Certainly, very aggressive blood pressure lowering can carry some risk of dizziness and falls," he said. "On the other hand," Nissen added, "we want to prevent a stroke recurrence." The bottom line, Nissen said, is there's no one-size-fits-all treatment, and stroke survivors should bring any questions to their doctor. "If their blood pressure is not already at the lower recommended target, they should sit down and have a discussion with their doctor," he said. And medication is not the only way to get better numbers, Lekoubou stressed. Lifestyle changes are just as important," he said. "With healthy lifestyle choices, you might need less medication to get your blood pressure down." Nissen agreed that regular exercise and a healthy diet are key. As an example, he pointed to the DASH (Dietary Approaches to Stop Hypertension) eating plan. It's rich in foods like fruits, vegetables, fiber-rich grains and low-fat dairy, and low in sodium, sugar and saturated fat. The findings were published June 6 in the Journal of the American Heart Association.